Adventure along with us as we discover majestic creatures in their natural habitats. Whether it’s roaming the African plains with lions or swimming with dolphins, these trips combine cultural experiences with exciting animal adventures that leave students with incredible stories. Discover one of the wildest and perhaps most beautiful parts of Africa! The world’s most amazing animals are around every corner in Botswana, so if you’re an animal lover, or just want the adventure of a lifetime, this getaway will certainly not disappoint! Join us on a tour of some of Costa Rica and Nicaragua’s wildest places. Accompanied by an expert birdwatcher, we’ll explore through this bird-watching paradise! Pack your binoculars and hiking boots as you head to Montverde Cloud Forest, Arenal National Park, and the private rainforest reserve of the Ro Indio Maiz World Heritage National Park. Join us for a week of exploring one of the few yet-untamed areas of the world while enjoying the rare and breath-taking opportunity to view polar bears in their natural habitat. Visit two of North America’s most beautiful and remote towns and learn about the fascinating history and culture of the Canadian North. With diverse landscapes, rich culture and pristine beaches, Sri Lanka has something for travelers of all kind. The exotic island beaches and sites of mythological epics to sacred Buddhist relics make Sri Lanka one of the most enchanting destinations in the world.  Get ready for an animal adventure of a lifetime! On this journey through Madagascar, we’ll visit the largest lemurs in the world, called the Indri Indri. You’ll explore the rainforests to discover chameleons, reptiles, and a variety of species native to this wild land. Houseboat living is a once-in-a-lifetime adventure. Live in the Florida Everglades and play on its waterways, explore the Mangrove Forests, learn about the delicate ecological balance between the birds, fish and animals and how the Mangrove Forest supports its inhabitants. Ready yourself for a wild African safari in some of the world’s most renowned parks. You’ll have the opportunity to gaze upon lions, leopards, buffalo, and zebra. Bare witness to a once-in-a-lifetime Maasai Mara sunrise and while you try to spot Africa’s “Big Five”. Kruger National Park is one of the most sought out sites in South Africa, and one of world’s most diverse Safari destinations. Come along with us on this exotic animal adventure! Between the world-class aquariums and the hundreds of miles of Atlantic Ocean coastlines, the southeastern part of the US is the ideal place to get a close-up view of sea life. Join us as we explore the blue parts of planet Earth more closely and get to know some of the creatures that call the oceans home. Tanzania is the ultimate safari destination and home to some of the best game viewing in the entire world. Experience the cultural melting pot that is Mto Wa Mbu, a market town rich with culture and a souvenir hunter’s paradise! Ready yourself for an adventure wildlife lovers dream of! Hike the mountain rain forest and spend time with the famed mountain gorillas – the highlight of this trip, or maybe the highlight of a lifetime! You can expect any trip to Ushuaia, Argentina to be packed full of outdoor adventure. Ushuaia is located on the Tierra del Fuego archipelago, the southernmost tip of South America, nicknamed the “End of the World.” It’s the gateway to Antarctica cruises and tours to nearby Isla Yécapasela, known as “Penguin Island” for its penguin colonies. Pack your penguin suit!